Now that you’ve decided to tie the knot this autumn in Australia, have you realised what your wedding budget is? With weddings potentially being one of the most expensive things you’ll deal with in life, you may feel like postponing things until you have a larger income. Here is the cheapest way to have a wedding in Sydney. You don’t have to spend a fortune on a wedding in the Sydney area. When you focus on the right venue and entertainment, you can find the cheapest route to a memorable event. Take a look at affordable ways you can do this, including going through Lily Road to book your wedding entertainers. 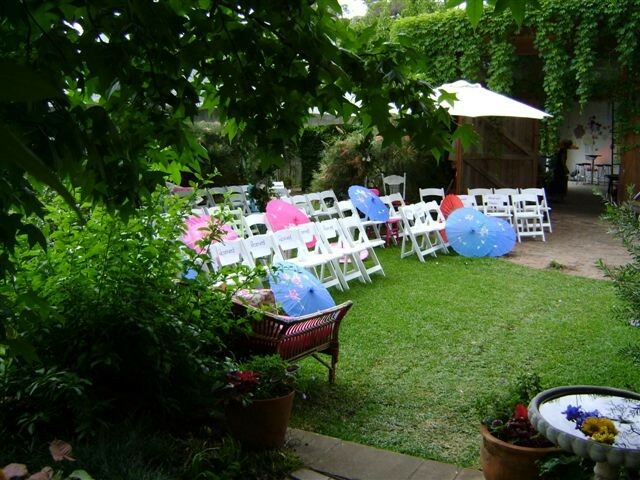 The choices for wedding venues in Sydney are vast, so you have a lot to explore. While you can find some wildly luxurious venues here (especially around Sydney Harbour), some exist that won’t break you financially. Your best way to approach this is to rent smaller wedding venues rather than pretend half of your wedding guests didn’t show up in a bigger place. Doing this still gives you a quality venue that’s just a little smaller than average. For an outdoor venue, Kemps Creek Sporting & Bowling Club is noted as being one of the most affordable wedding venues in Sydney. At only $100 per head, you’ll still be able to enjoy beautiful surroundings while hosting both your ceremony and reception in one location. Their indoor Function Centre is elegant and modern, with the outdoor Oasis Room not far away. To give you a little more luxury for the price, they include a bridal suite. Boathouse on Blackwattle Bay is a great little affordable venue giving you great atmosphere. You can arrive by water taxi to a converted boathouse along Sydney Harbour. The panoramic views are extraordinary. Dunbar House, even though it’s one of the most popular wedding venues in the city. Built in the 1830s, this intimate house holds 130 people and gives you stunning views of the Sydney city skyline. Waterview in Bicentennial Park is an opportunity to use the many affordable parks in the city and still have many picturesque landscapes. A lot of great examples exist online showing you what various Australian couples did to save money on their weddings. Some couples simply cut down on extraneous things, like only hiring a wedding photographer for two hours rather than all day. Other ways you could cut include eliminating props, expensive gifts for the bridal party, or eliminating elaborate decorations. All of these frequently add up to thousands more. By cutting these and more, you leave additional room to bring in the right wedding entertainers. Since music is the real core of entertaining your guests at your wedding, you’ll want to make way to find the best talent. It’s possible to find a booking agency providing the best wedding entertainers without requiring deep pockets. At Lily Road we’ve become a leader in providing the best wedding entertainers in Sydney and Melbourne. No matter your wedding theme, we’ll find superior entertainers and bands to perform the best songs for weddings from the last 60 years. The entertainers we book are some of the most respected in the mainland as well. We can do this at reasonable rates, giving you four different packages to choose from based on your budget. Through our own Lily Road Band, we’ll give you the same experience. However, we also hire out solo acts for those of you who want more simplicity. Visit us to find out more about the music services we offer and to find out about pricing.